Frank Serpico is one of the finest undercover officers on the NYPD. Unlike his clean-cut colleagues, he immerses himself in the style of the streets, blending in perfectly with the hustlers and drug dealers. In the course of his duties, he becomes troubled by the illegal behavior of his fellow officers who use drugs on the job and take bribes to protect criminals. 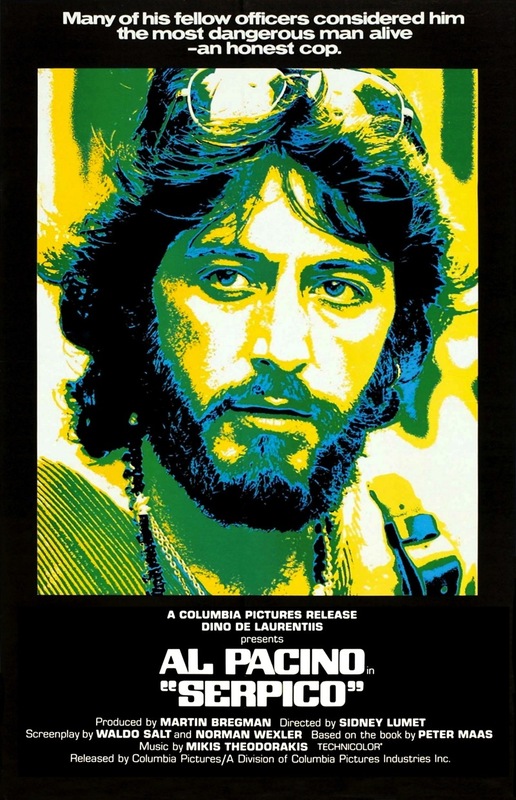 Serpico becomes determined to disclose the endemic corruption within the department. Besieged on all sides by dirty cops, he must stay alive long enough to get his story out.